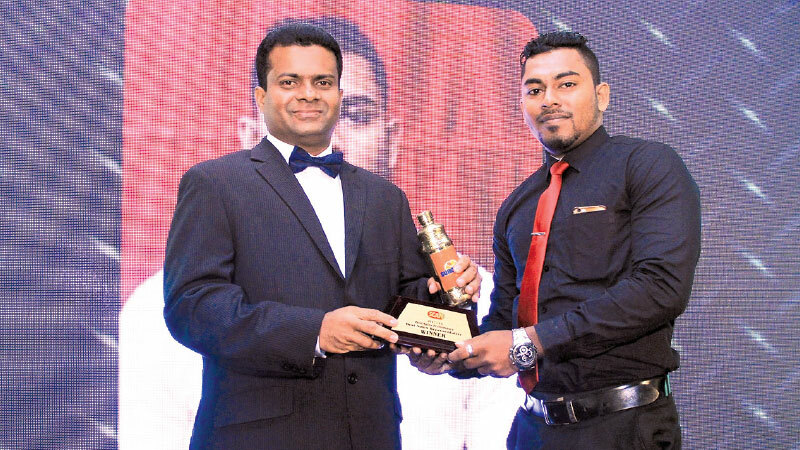 “Best Sales Representative winner Roshan Rangama, receiving the Gold Award from Mangala Perera Executive Director- Internal Trading of C.W.Mackie PLC at Scan Annual Sales Conference 2017/18 held at Hotel Club Palm Bay - Marawilla”. The FMCG arm of C. W. Mackie PLC, Scan Products Division completed their Annual Sales Conference 2018, which was recently held at Club Palm Bay Hotel, Marawila. The residential sales conference was organized to achieve three main strategic objectives; to provide a training opportunity, award and recognize the achievers, and preview the objectives of the next financial year. The agenda of the event was the award ceremony where the Scan field sales force recognized sales professionals who delivered outstanding performances and awarded them with Star Awards. The high performing field sales force members who went beyond the boundaries of assigned targets during last financial year were awarded at that glamorous evening, encouraging others to endeavor to be proud recipients of the awards in years to come. The Gold Award was won by Roshan Rangama, while the Silver Award was received by Gihan Adikari and Krishan Nalinda was awarded the Bronze Award. The Annual Sales Conference was the platform to unveil the Business Plan for the new financial year 2018/19, preview next year’s objectives and set up the strategies to achieve the set targets. ‘One Goal- One Force’ as the theme of this year.